SMITHFIELD, Va., Mar. 22 /CSRwire/ - Smithfield Foods, Inc. is pleased to announced that Chris Lahti, vice president of distribution, has been named a “Rock Star of the Supply Chain” by Food Logisticsmagazine. The award recognizes champions in the global food and beverage supply chain industry whose achievements, hard work, and vision have shaped and attained milestones in safety, efficiency, productivity, and innovation. 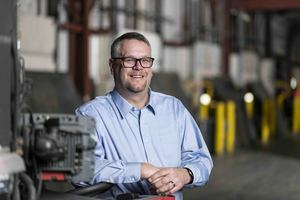 Lahti received this honor for his efforts and his team’s role in supply chain consolidation initiatives within the company, which resulted in significant operational, sustainability, and economic benefits.